定义与声明的区别： ``Definition'' refers to the place where the variable is created or assigned storage; ``declaration'' refers to places where the nature of the variable is stated but no storage is allocated. ``Definition'' refers to the place where the variable is created or assigned storage; ``declaration'' refers to places where the nature of the variable is stated but no storage is allocated. In the absence of a function prototype, char and short become int, and float becomes double. This is why we have declared function arguments to be int and double even when the function is called with char and float. Relational expressions like i > j and logical expressions connetcted by && and || are defined to have value 1 if true, and 0 if false. Howerver, functions like isdigit may return any non-zero value for true. In the test part of if, while, for, etc., "true" just means "non-zero", so this makes no difference. Relational expressions like i > j and logical expressions connetcted by && and || are defined to have value 1 if true, and 0 if false. Howerver, functions like isdigit may return any non-zero value for true. In the test part of if, while, for, etc., "true" just means "non-zero", so this makes no difference. BCPL and B are "typeless" languages. 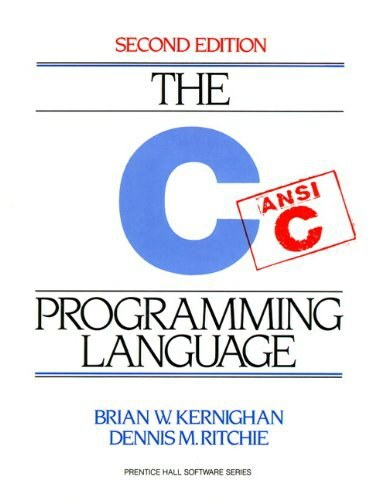 By contrast, C provides a variety of data types. The fundamental types are characters, and integers and floating-point numbers of several sizes. In addition, there is a hierarchy of derived data types created with pointers, arrays, structures, and unions. Expressions are formed from operators and operands; any expression, including an assignment or a function call, can be a statement. Pointers provide for machine-independent address arithmetic. '\n' is a single character , and in expression is just an integer ; on the other hand , "\n" is a string constant that happens to contain only one character . 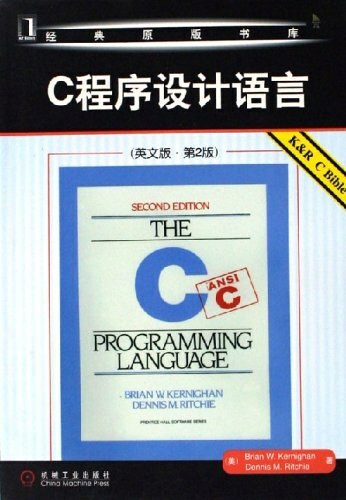 Chapter 7 describes the standard library, which provides a common interface to the operating system. This library is defined by the ANSI standard.